A CYCLONE watch has been issued for coastal parts of southeast Queensland, including Bundaberg, and northern New South Wales. Tropical Cyclone Oma is estimated to be 820km from Bundaberg and 890km from Brisbane, with the watch zone including all coastal areas stretching from Bundaberg to Ballina, including Brisbane, Sunshine Coast and Gold Coast. 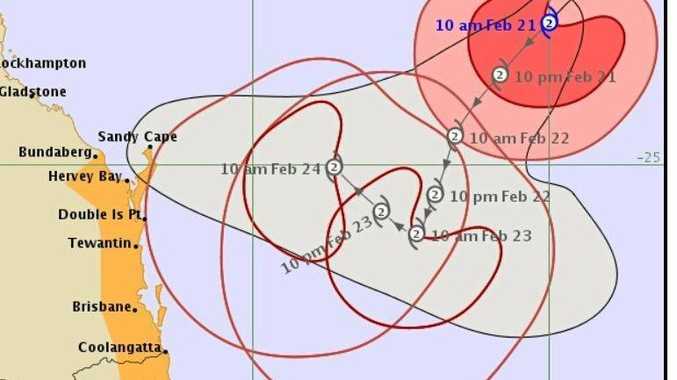 The Bureau of Meteorology has released a statement at 11.04pm advising that the category 2 tropical cyclone has sustained winds near the centre of 95km per hour with gusts to 130km per hour. Intensity: Category 2, sustained winds near the centre of 95km per hour with wind gusts to 130km per hour. Location: within 35km of 22.6 degrees South 160.0 degrees East, estimated to be 890km northeast of Brisbane and 820 kilometres east northeast of Bundaberg. Movement: southwest at 11km per hour. Tropical Cyclone Oma is expected to continue moving in a general southwesterly direction towards the southeast Queensland coast during today and Friday, whilst maintaining category 2 intensity. Oma's motion becomes slow moving during Saturday but is then expected to track in a more north or northwest direction, remaining offshore through the weekend. Although Oma is not expected to make landfall in the coming days it will be close enough to produce direct impacts along the Queensland and New South Wales coast. Abnormally high tides and dangerous surf conditions are expected along the southern Queensland coast over the next few days and into early next week. Seas and swell are expected to increase well ahead of the approach of Oma with dangerous surf developing about the east coast of Fraser Island and Wide Bay coast north or Bargara later this afternoon and evening. These conditions are then expected to extend south over the remaining southeastern Queensland coast and northern New South Wales coast during this evening and Friday. Beach erosion is likely to continue with the hazardous marine conditions. Severe Weather Warnings for Abnormally High Tides and Dangerous Surf are current. A Hazardous Surf Warning is also current. Gale force winds are expected to develop along exposed coastal areas of southern Queensland during Friday well ahead of Oma, and may extend into coastal parts of Northern New South Wales on Saturday. Water levels on the high tide may exceed the highest tide of the year by around one metre on the morning high tides over the next few days. People between Bundaberg and the NSW/Qld border should consider what action they will need to take if the cyclone threat increases. Stay indoors away from windows and keep children indoors. Don't walk, ride your bicycle or drive through flood water, and keep clear of creeks and storm drains. Check your property regularly for erosion or inundation by sea water, and if necessary raise goods and electrical items. Stay out of the water and stay well away from surf-exposed areas. 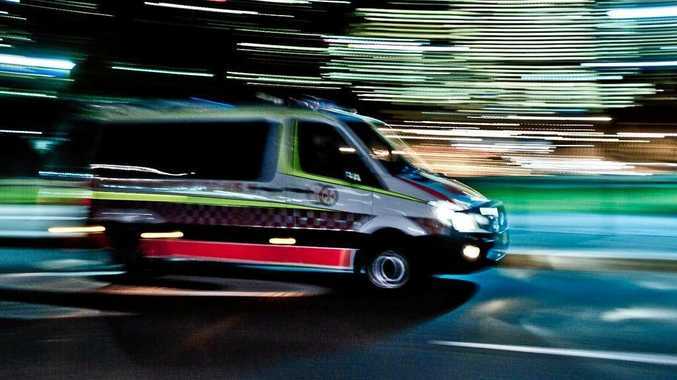 For emergency help in floods and storms, ring the NSW State Emergency Service (SES) on 132 500. Next Advice: The next advice will be issued by 5:00 pm AEST Thursday 21 February.